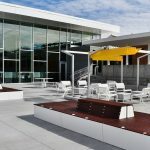 Larosa Design - Sustainability with style! 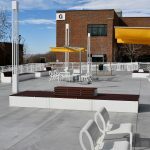 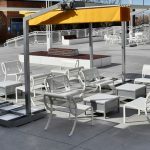 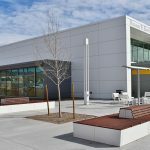 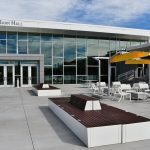 Happy to announce that the outdoor furniture selected for the main courtyard located on Albuquerque’s College of New Mexico campus consists mainly of the Garda and Loop collections. 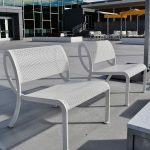 The Garda modular seating system and the Loop collection were designed by Antonio Larosa for Florida-based Benchmark Contract Furniture. 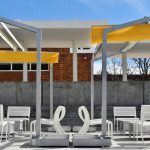 Both collections, designed exclusively for public spaces, have structures made of solid aluminum that is powder-coated to specification. 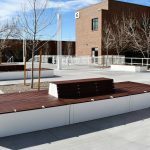 Seats for the modular Garda benches for the Albuquerque project were specified using composite wood-look slats.